Seeking growth beyond a shrinking beer market, Kirin Holdings Co. is turning its attention to making people healthier. The second-largest beer-maker in the country aims to reach ¥100 billion in sales of food and beverages aimed at appealing to wellness concerns in the next two decades, CEO Yoshinori Isozaki said in an interview last week. The segment could take 10 to 20 years to build out, he said. 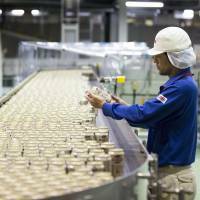 Selling more food may help Kirin offset declining sales at its mainstay brewery business, where it’s also fending off intensifying competition from Asahi Group Holdings and Suntory Holdings. 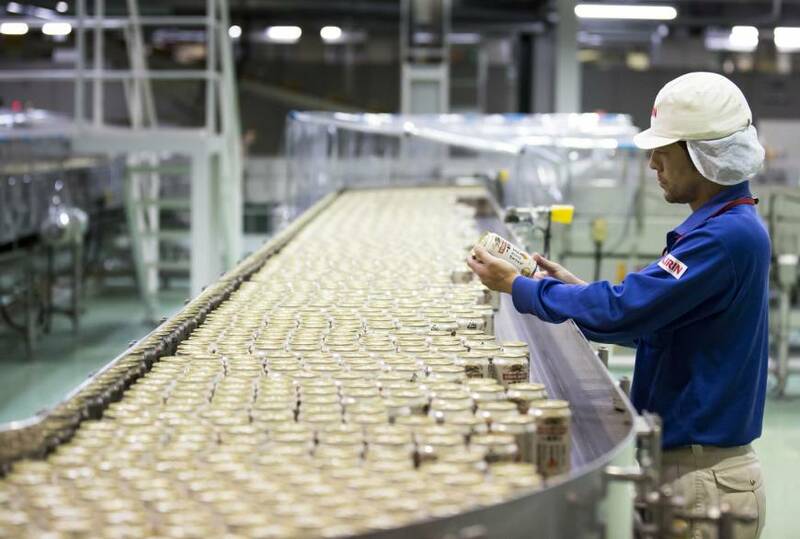 Along with adding drinks and snacks that contain healthy bacteria, Kirin aims to increase its premium beer offerings in Japan and acquire stakes in brewery operations in developing markets like Southeast Asia, Isozaki said. Kirin has already launched the iMuse product line of snacks and drinks spiked with lactobacilli developed by the beer-maker to improve digestion. Isozaki said he plans to take the business overseas soon, and wants to target Southeast Asia. “We don’t have the concrete timing yet but we are proactively considering the opportunities there,” he said. Isozaki said the company won’t be doing any trillion yen health care deals, but said it’s possible to do acquisitions or joint ventures with smaller companies. The company has a separate drug unit, Kyowa Hakko Kirin, which posted sales of ¥354 billion in 2017 — the highest among divisions after Kirin Brewery. Kyowa Hakko Kirin sold out of a joint venture with Amgen Inc. last year for an expected gain of ¥20 billion. The partnership is an example Isozaki wants to follow with other tie-ups, he said. Some analysts said straying from the core alcohol business, which accounted for more than half of revenue last year, may not be the best path forward. “Japan is an aging society and they need to think differently about the portfolio,” said Euan McLeish, an analyst at Sanford C. Bernstein. “But going into new areas where you don’t have a clear competitive advantage is a risky way of doing that.” He also said it’s unclear how big and sustainable the consumer-led opportunity is for Kirin. Isozaki said growing the beer and beverages business has become more difficult with fewer big M&A opportunities, though he would consider small deals in emerging markets.